EDIT: Please note this thread was started in October 2015. In 3 years time, when it's £45k and not £70k, I could really see myself in this. What model 991 is this Terry or does it just wear a certain aero? The duck tail and any other body extras (front PU?) aren't even mentioned on the windscreen blurb. Sorry, not doing it for me. Ducktail looks all wrong on this car. I'd stick with your 997T Terry, and keep it forever. Looks lovely aside from the ducktail. Love the colour. But tell me pls... On PM if you prefer, how does your 997T compare to your 996T? I feel an itch for one and the 997 feels like a better bet in the medium term. I don't see their values dropping by much as the 996 T prices comes up to match. 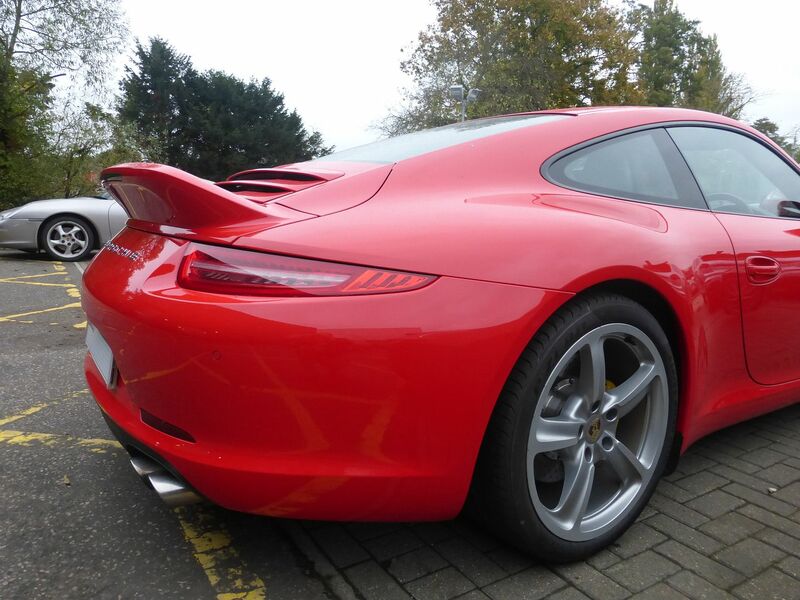 Yeah, I'm not for the ducktail on the 991, just doesn't seem right. The rest of it, yum yum. Always a dangerous place to visit OPC Tonbridge (unless I'm mistaken). Now 8 months / 5000 miles in I've discovered nothing new. As a car the 997T does everything the 996T did ....... but better. To get a 996T as nice as my 997T you'd have to pay a similar amount of money and that seems crazy. As an investment ....... ..... I bought mine to use. 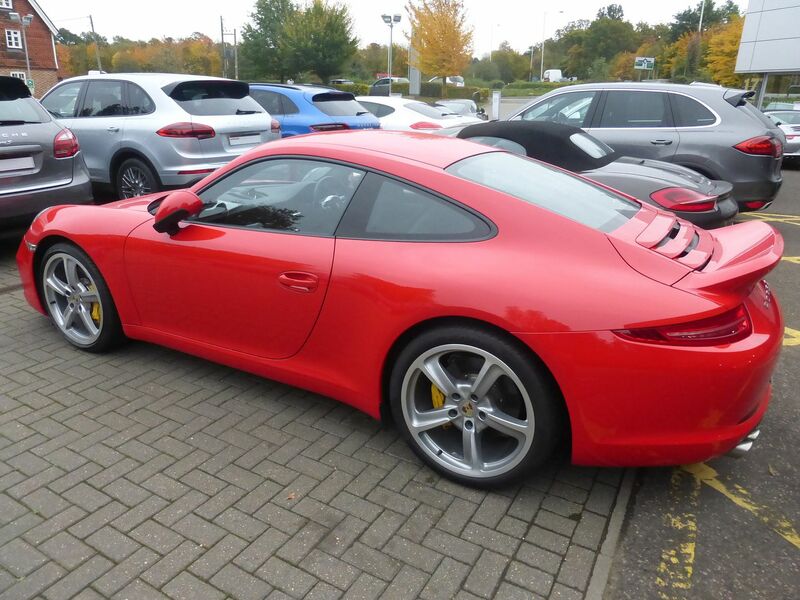 I like the 991 but somehow this kit doesn't look right on the c2s to me. Maybe it's the wheels? Edited to fix the quotes. For me it's the wheels, ducktail and PCCBs that make this car special. The key driver would be the 'cost to change'. In 3 years time I might be in 'straight swop' territory. If so the chance to have a 5 year newer car would swing it for me. In the meantime ..... I've still got pics to drool over. Mmm tx Terry. Love your rare guards red. Those wheels are nice - what are they? Huge - that's what they are! 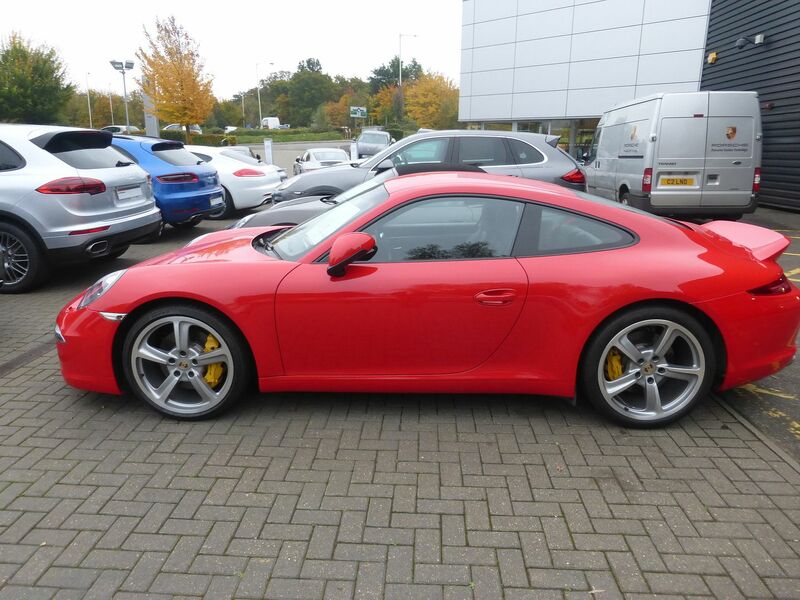 Not sure Guards Red works with the 991 lights and the Sport Techno wheels seem a bit half-hearted. Do like the ducktail though! 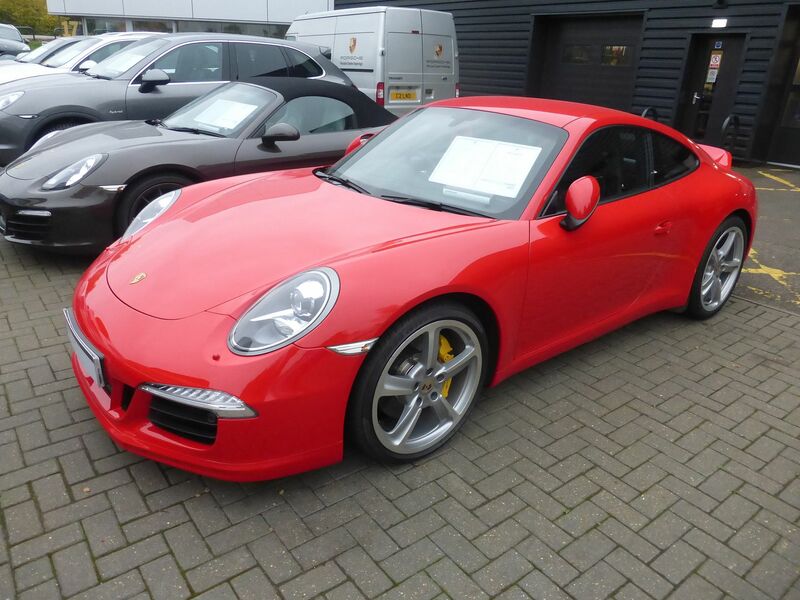 That car was for sale at some random car trader a little while ago at 67k, seems it got traded to Porsche Tonbridge.